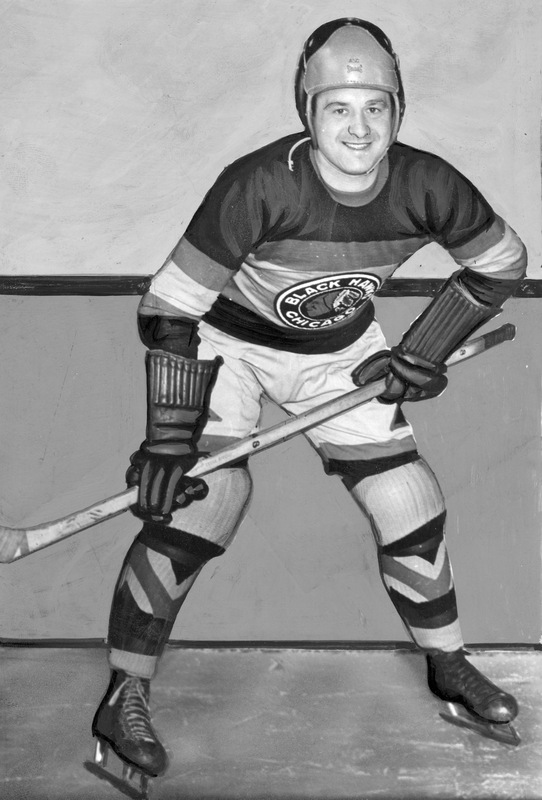 Alex Levinsky was in his mid-20s by the time he joined the Chicago Black Hawks in the mid-1930s, a veteran defenceman whose adjectives included big and bumping and hardrock, and whose headgear here — I don’t know, looks to me like it’s a borrowed football helmet rather than bespoke hockey apparatus. Born in Syracuse, New York, Levinsky grew up in Toronto, on Markham Street, where he was living in his parents’ house when he made his NHL debut for the Toronto Maple Leafs in the winter of 1931. He’d been all-round star athlete at the University of Toronto, won a Memorial Cup with the Toronto Marlboros in 1929, enrolled at Osgoode Hall with a mind on a law career. Leafs’ majordomo Conn Smythe talked him into sticking to the ice. Levinsky was the league’s only Jewish player when he joined the Leaf defence, though not the first in NHL history: Charlie Cotch, Sam Rothschild, and Moe Roberts preceded him, possibly others. Joining Hap Day, Red Horner, and King Clancy on the Leaf blueline, Levinsky won a Stanley Cup in 1932. He was New York Ranger briefly before he ended up with Chicago. When Bill Stewart took up there as coach in the fall of 1937, he quietly set aside Major Frederic McLaughlin’s mandate for an all-American roster along with the uniform that Levinsky’s wearing here. 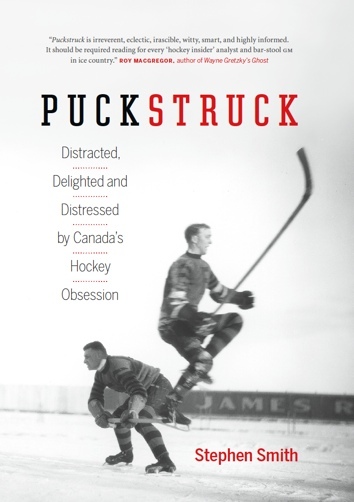 That may or may not have had something to do with the surprise the Black Hawks sprang the following spring, surprising Levinsky’s old team from Toronto to win the Stanley Cup.